2019: We upgraded the site to a brand new template. We cleaned it up, and made the 'flow' easier for the patrons to move through the site. 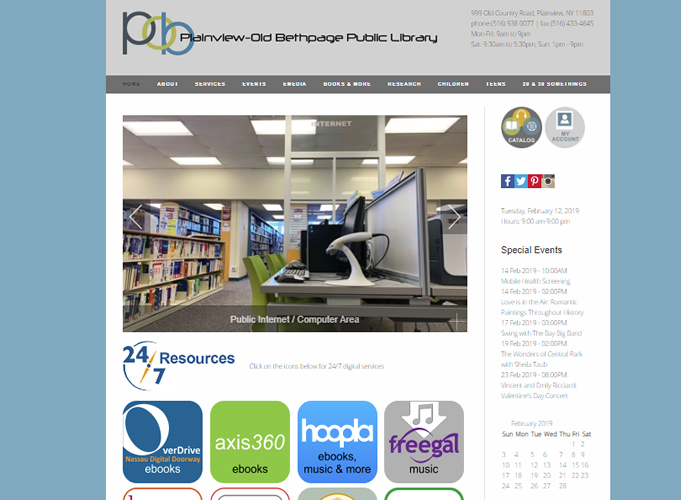 2015: We upgraded the Plainview Library Website to Joomla 3.4, we kept the overall look, appearance and functionality.